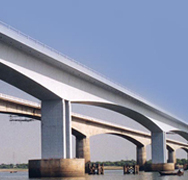 This project involves the construction of a 630 m cable-stayed bridge across river Yamuna, a 3.9 km long approach along the new alignment of NH 27 and an under pass at the crossing of proposed road alignment with the existing railway line. 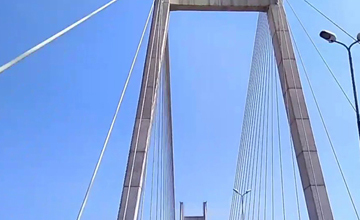 This cable-stayed bridge is India’s biggest bridge of its kind. 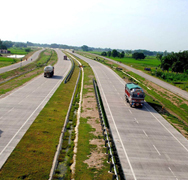 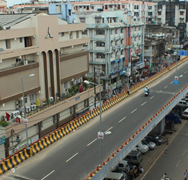 It links Allahabad and NH27. 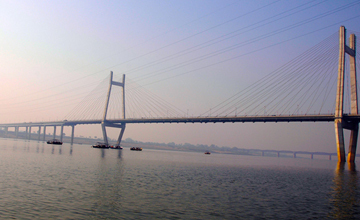 The total length of the bridge is 1510 m with a longest span of 260m which is supported by cables and concrete anchor bridges. 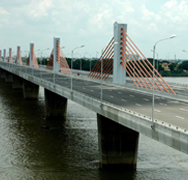 Encardio-rite supplied a number of sensors for monitoring of the project during the construction of the bridge.